Official on-airport budget car park. Follow the signs to the bus stop located in Long Stay car park and collect your complimentary bus ride to the Terminal. Full Park Mark award accreditation so you know your car will be safe and secure while you are away. The bus service takes around 5 minutes, and runs every 5 minutes between the Terminal and the Long Stay car park, from there it's a short walk to Plane Parking. Regular patrols, 24 hour attendants and full security fencing. Please take a copy of your confirmation email with you to the airport. At the entry barrier, press the button on the ticket machine. The system will validate your booking and print a ticket. If there are any issues, use the intercom and our staff will help you out. 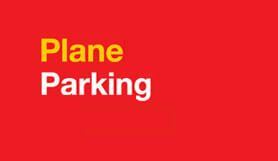 After you have parked, please make a note of the zone, and follow the signs into Edinburgh Airport's Long Stay car park where you can catch the complimentary bus to the Terminal. Catch the complimentary bus to our Edinburgh Airport Long Stay Car Park, get off at bus stop 4 and walk to the Plane Parking car park. Plane Parking is back to back with the Long stay car park so has the same post code. Drive past the Long stay entrance (about 100 yards) until you reach Plane parking. You should then turn right, following signs to Long Stay sign.